A rare area for me to be in but le bf's sister just gave birth at a hospital nearby to a healthy baby boy! Right.. On to the food. 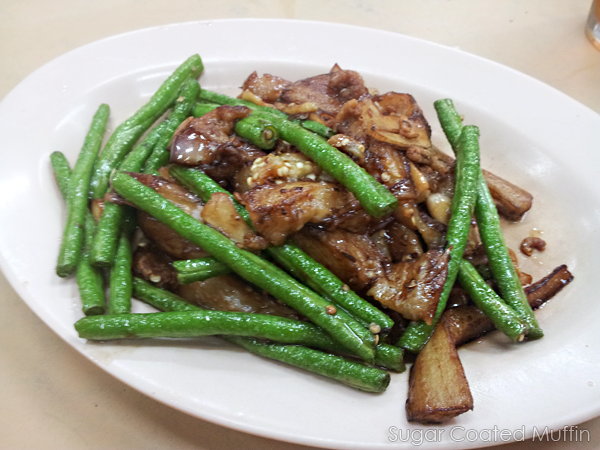 First up is a plate of fried brinjal with long beans and deep fried crispy dried prawns. The dish was not too oily which is quite common with brinjals. Dried prawns were very fragrant and gave a nice aroma and taste to the dish. 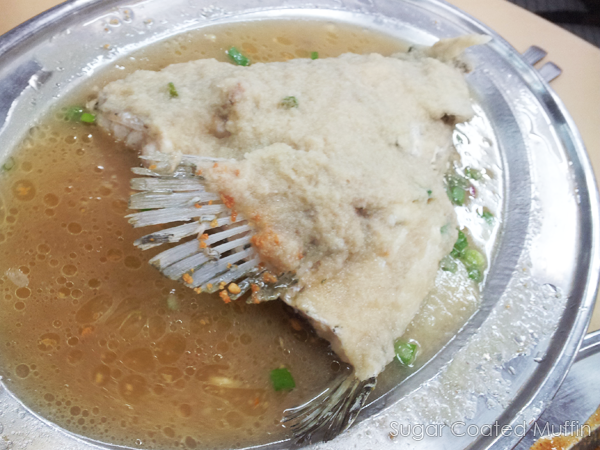 Next, we ordered two fish heads, one cooked in assam sauce and the other steamed with ginger. The assam sauce was absolutely terrific! Needless to say, we all finished our rice with the spicy and sour sauce. Ginger one wasn't very 'spicy' but it did a good job bringing out the sweetness of the fish. 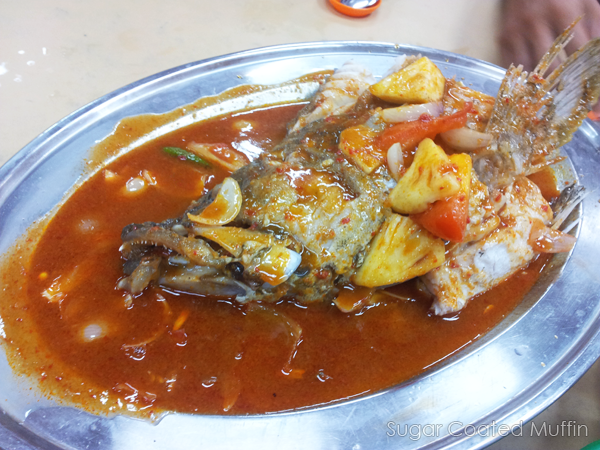 Both fishes seemed fresh but the sauces would have covered any unpleasant taste anyway. 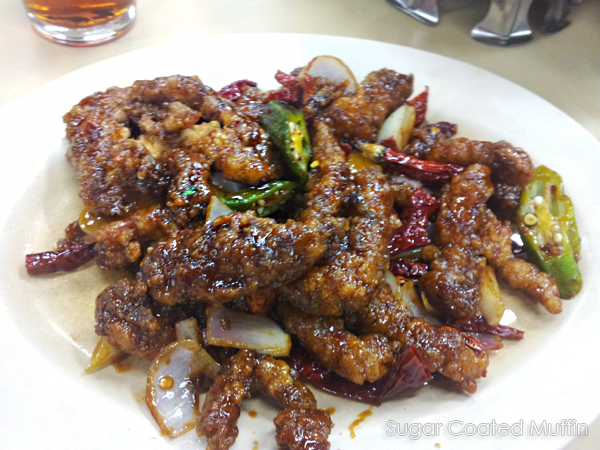 Lastly, this is the kung pao mantis prawn meat, which is one of my favourite dishes to order. I've tried this in many other places and was pleasantly surprised to discover that those chunks were mostly meat and had very little flour as opposed to some other places where the entire piece could be flour only. It was delightful to bite into the crunchy goodness and savour the meat inside. It's not very spicy but take care not to bite into the chilli! Dinner was RM 104 for the four of us that night. There is a restaurant nearby my house which serve terrific asam steamed fish too, I always polished off the gravy and it is so addictive!